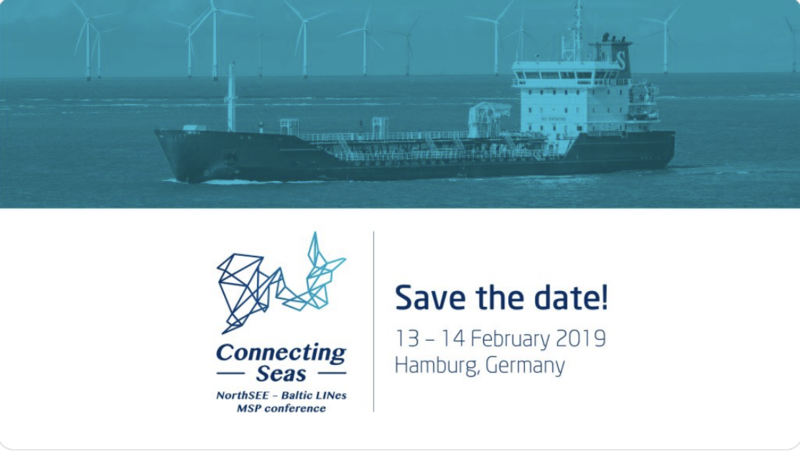 The MSP conference “Connecting Seas” from two INTERREG sister projects “NorthSEE” and “Baltic LINes” will take place on the 13th – 14th February 2019 in Hamburg, Germany. The conference programme will cover topics related on the North Sea and Baltic Sea Region’s experience of dealing with Maritime Spatial Planning, with a focus on shipping, energy and environment. The conference will bring together more than 200 participants from the MSP community representing different ministries and authorities, stakeholders from the shipping, energy and environment sector, transnational organisations and initiatives, NGOs as well as research institutes from both regions. This will be a unique opportunity to meet representatives, experts and stakeholders from two sea basins, exchange knowledge and discover the future trends in MSP. Discounted rooms are available in different hotels in walking distance to the venue. You can find the different hotel options under http://www.connectingseas.eu/venue/ - use the keyword: “Connectingseas”.